Logging and capturing data from Adam (Nimbus, Eclipse, Single Line Format). This data is being extracted with help of the "Advanced Serial Data Logger" software only. It may not applicable for other software titles. How to configure the logger for the Adam (Nimbus, Eclipse, Single Line Format). 1. 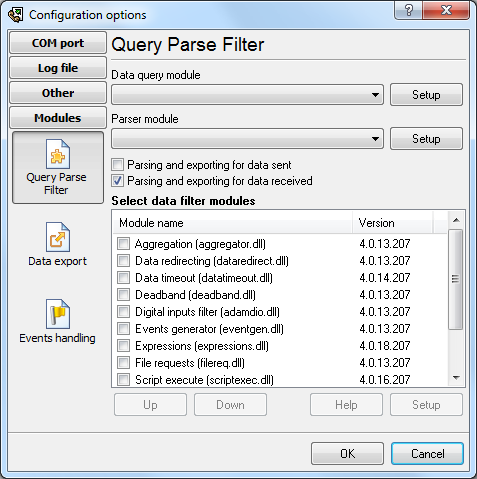 Download and install the "Scale data parser" module. 2. 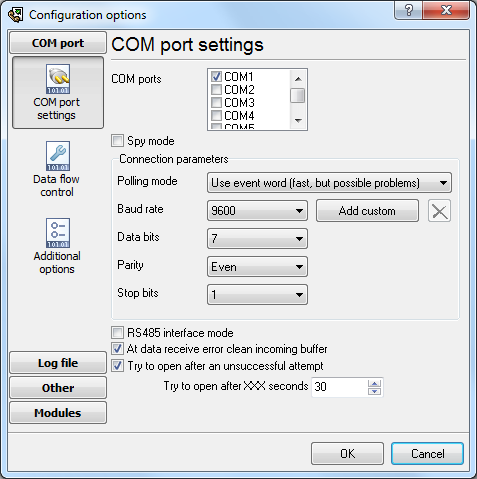 Create or modify existing configuration. 4. Select the corresponding parser module. Note: Your COM port settings above should match the RS232 settings on the scale. How to write data from the Adam (Nimbus, Eclipse, Single Line Format) to a database. Please, visit our tutorials section for examples. How to capture data from USB scale or balance? Usually the scale vendor provides a driver that can create a virtual COM port for the usb scale. Our serial data logger fully supposts virtual COM ports.